Life insurance is a fairly simple concept: In exchange for paying premiums, your family may receive money upon your death. It’s a way to financially protect your family after you pass, especially if that happens when they still depend on you financially. But there are many varieties of insurance, some of which are considerably more complex. One popular option is indexed universal life (IUL) insurance, which allows the cash value of your policy to grow when certain market indexes are doing well. What Is Indexed Universal Life (IUL) Insurance? Term life insurance covers a specific term, ranging from 10 to 30 years. It’s a temporary type of coverage since it covers you for a certain amount of years. If you die within the covered period, your family gets a death benefit, which it can use to cover funeral expenses and replace your lost income. It’s usually less expensive than other insurance options. Whole life insurance is a permanent policy, which means that there’s no time limit on when your family can receive a benefit. Furthermore, some of the premiums you pay go toward funding a cash value account. Once enough money has gone into that account, it will be used to fund your eventual payout. But you can also use the cash while you’re still alive. You can borrow against it or withdraw from it, much like a retirement account. It has the chance to earn dividends to increase the value of your account. This policy has fixed premiums for the life of the plan. Universal life insurance is like whole life insurance in that is also a permanent policy, complete with a cash-value account. They’re mainly differentiated by their flexibility, allowing you to adjust your premiums and death benefits. You may also be able to realize higher interest rates on the growth of the cash value, and use that cash value to pay for premiums. Indexed universal life (IUL) insurance is a type of universal life insurance. Rather than having a fixed interest rate, it’s tied to the performance of a market index, like the S&P 500. Unlike just investing in an index fund, however, you won’t lose money when the market has a down year. This is because your account’s principal is guaranteed, insuring it against market dips. On the other hand, there’s usually a cap on the maximum return you can earn. Many times, you’ll also be able to divide your assets between the fixed and indexed sections of your policy. One of the most attractive features of an IUL is the ability to take advantage of stock market returns without the risk of loss. And it does so while building up a death benefit that will be disbursed to your beneficiaries tax-free. Unlimited contributions. Traditional retirement avenues have contribution limits, but IULs don’t. Tax-free growth and distributions. “IUL distributions are tax-free versus tax-deferred in the other vehicles,” says Chris Abrams, an IUL expert at Abrams Insurance Solutions. That means you don’t have to pay taxes on the money you eventually draw from the cash value of the IUL. It’s similar to a Roth IRA in this respect. Use whenever you want. With regular retirement programs, you have to wait until you hit the 59.5 minimum age for distribution before you can start taking money out. With an IUL, there is no age requirement. Death benefit. A tax-free death benefit is distributed to your beneficiaries, which means it won’t face income or death taxes. Loans available. Depending on your policy and available cash, you can borrow money from your IUL without facing penalties, taxes or a credit check. You also do not have to pay back the money you take out. There are many reasons to buy an IUL insurance policy. Like any financial product or policy, though, there are some drawbacks that might hold you back from investing in an IUL. Critics point to high fees associated with permanent life policies, including sales and administrative fees. By contrast, a retirement account, especially one comprised of low-cost ETFs or mutual funds, will lose significantly less to fees. 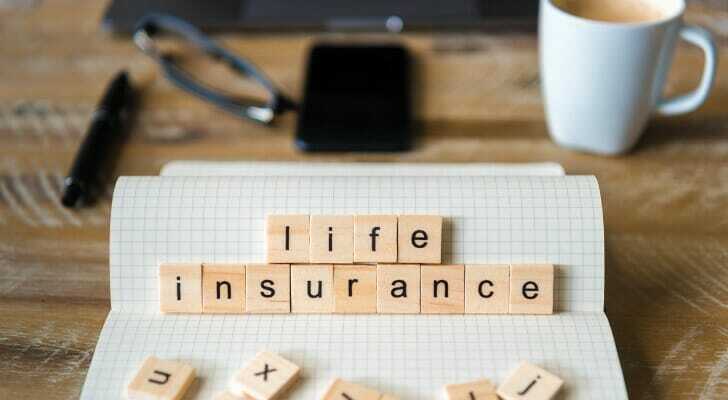 Someone seeking both life insurance protection and tax-free retirement distributions might be better off getting a term life policy (which tend to be much cheaper) and opening a Roth IRA, rather than trying to combine the benefits into one product. Earnings cap. Most policies have a limit on how much you can earn within the plan. When the market is having a particularly good year, your money will earn less than you would just investing directly. Along with this, there are index caps and maximum participation rates that the insurance company can change. Some income is taxable. If the policy lapses or is surrendered, the money you’ve taken out may be taxable. 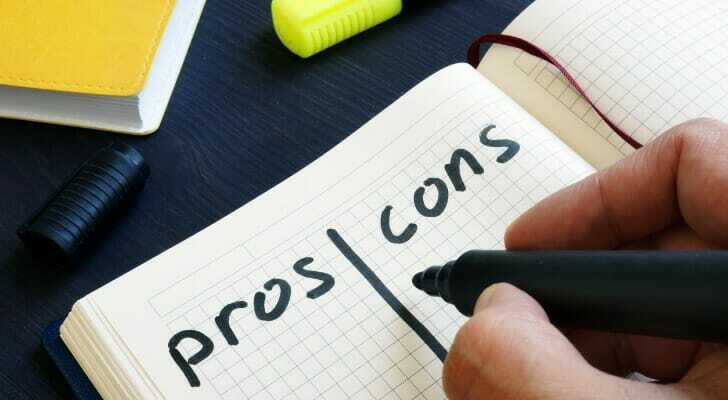 Should You Get IUL Insurance? While an IUL policy has some generous upsides, they might not work for everyone. “If someone has no need for life insurance, then another vehicle may be more appropriate for them,” Abrams says. That might mean just saving in a 401(k) or IRA. Of course, those accounts are subject to contribution limits and don’t offer the same principal guarantees. But less of your investment will be eaten up by fees, and you won’t have a cap on returns when the market has a great year. Abrams adds, too, that IULs aren’t for short-term investors. It could be helpful to review your plan with an insurance expert or financial advisor before jumping to get an IUL policy. Your income, long-term financial plans and risk tolerance will determine if getting an IUL is right for you. Don’t overlook the role Social Security can play in your retirement income plan but don’t overestimate it, either. To gauge how much you’ll likely receive in retirement, stop by SmartAsset’s Social Security calculator. Want to build a financial plan that provides for both you and your family? A financial advisor can help. SmartAsset’s financial advisor matching tool can match you with advisors in your area based on your financial situation and needs. The post Should You Get Indexed Universal Life (IUL) Insurance? appeared first on SmartAsset Blog.